You can find almost every climate that exists somewhere in Peru. The country has 28 of the world’s 32 climates. With a mixture of desert, high mountains, jungle, and everything in between, there will be a climate tailored especially for you. The Andes Mountains, the cold Humboldt Current, and the 1,500-mile arid dessert coastline each do their part in creating the multifaceted weather that the country enjoys. Peru can roughly be divided into three climatic areas—the Pacific Coast, the Andean highlands, and the Eastern lowlands. Within each of these general zones there are often several microclimates that provide even more variations. Lima, Peru’s vibrant capital, is located almost halfway along the extensive Peruvian coast that stretches from Chile in the south to Ecuador in the north. It is also home to most expats in the country. With an average of less than one inch of rainfall per year, Lima is one of the driest capitals in the world. Temperatures range from the low 50s during the coldest month of the year (July to October) into the 80s during the hot summer months (December to March). The cold Humboldt Current that runs along most of the Peruvian and Chilean coast moderates the heat of the tropical sun, but at the same time produces high humidity with clouds and mist. Skies can be grey for months on end during the winter months. You won’t need much more than a bathing suit if you make your way to the seaside resort town of Mancora on the north coast. 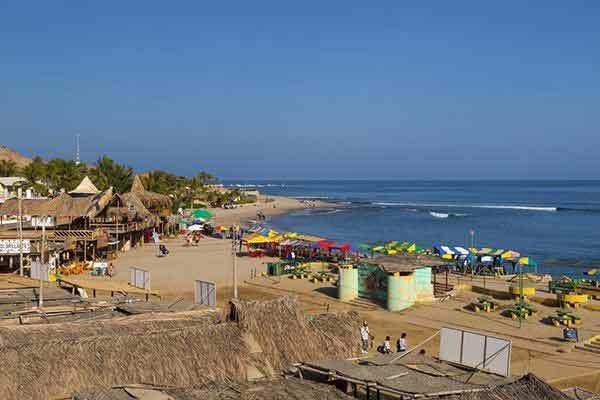 Mancora is well-known for its year-round hot climate, never-ending surf, and warm water. Daily highs are consistently above 80F and rarely fall below 65F. Summers are hot and sunny, but you may need your umbrella if you visit during the winter months. However, even the rainiest month of March receives less than four inches of precipitation. Winters are still warm but comfortable and very dry. The northern city of Trujillo, located halfway between Lima and the Ecuador border, offers a spring climate year-round with almost zero precipitation. Temperatures tend to hover around 70 F during the winter months and inch into the high 70s F or even 80s F during the summer. You will almost be guaranteed good weather any time of year as you tour the nearby archaeological sites of Chan Chan, El Brujo, and the Temple of the Sun and the Moon. 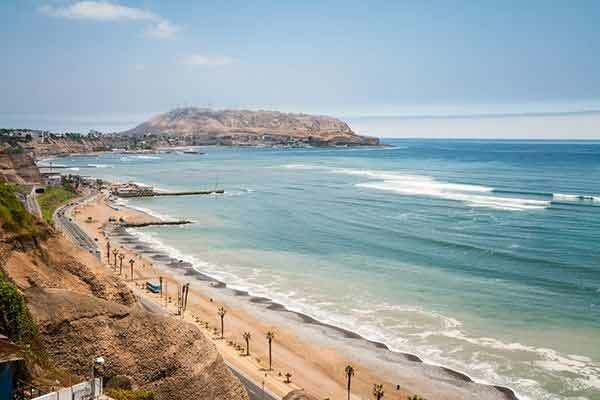 The nearby beach town of Huanchaco attracts surfers of all levels and other visitors with its consistent surf, numerous seafood restaurants, and spectacular sunsets. 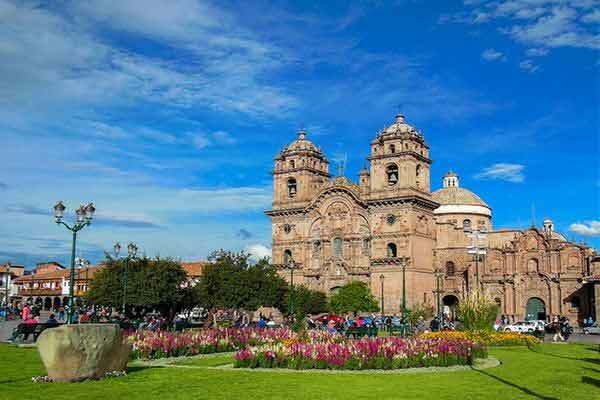 Cusco is a vibrant tourist center, the main staging point to the nearby wonder of the world Machu Picchu. In the mountains, temperature is directly related to altitude. The high-altitude city of Cusco (11,000 feet), the ancient Inca capital, is representative of this climate zone. Here you find two distinct seasons; dry and rainy. The dry season runs from May to October and receives very little rainfall. Although this is the time of year with the best weather, it is also when most tourists visit the city. You probably won’t want to visit Machu Picchu during the peak of the Andean winter. From November through February, there can be heavy rainfall with the wettest month being January. Often, it will not be a case of constant torrential downpours, but it can be. Temperatures in the mountains don’t vary that much throughout the year. Go for a hike in the Sacred Valley and you will feel like you are in the tropics when the sun is out during the summer months. It is not unusual to reach the high 70s F or even hotter. But as soon as the sun drops behind cloud cover, temperatures can plummet quickly. Remember that solar radiation is stronger at high altitudes. Despite the sometimes-cool temperatures and cloudy conditions, it is very easy to get sunburned. Nights are cool and can creep as low as the 30s F, especially during the coldest months. Indoor heating is not common but there are always lots of heavy alpaca blankets available. The southern city of Arequipa sits at an altitude of about 8,000 feet. With over 300 days of blue skies and sunshine a year, the climate is hard to beat. Only January and February bring cooler days with some rainfall and cloud. At night, there is always a nip in the air but nothing that a light jacket or sweater can’t fix. Many local Arequipeñas escape the cooler, rainy winter months by heading to the coast to seaside resort towns such as Mollendo and Mejia. Only a two-hour drive from the city, you can relax on one of the many picturesque sandy beaches or check out almost 200 species of birds at the popular Lagunas de Mejia National Bird Sanctuary. The Peruvian Amazon rainforest is the largest area of the country, comprising 60% of Peru. It extends from east of the Andes to the borders with Ecuador, Colombia, Brazil, and Bolivia. 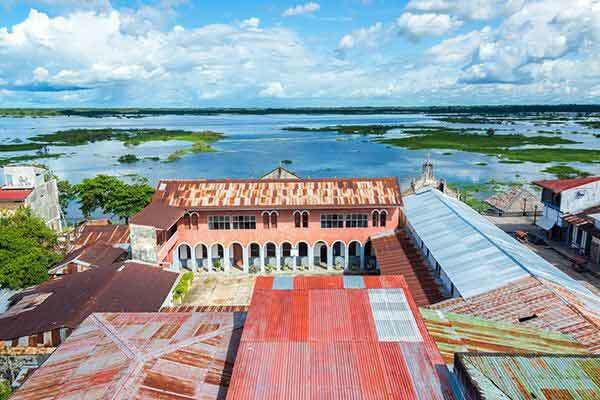 Here the climate is hot and rainy all year round with temperatures ranging from 65 F to 97 F. The city of Iquitos was built on the rubber industry during the 19th and early 20th century and continues to be a major port in the Amazon basin. Today it also acts as a gateway to the rich fauna and flora of the jungle for thousands of tourists each year.